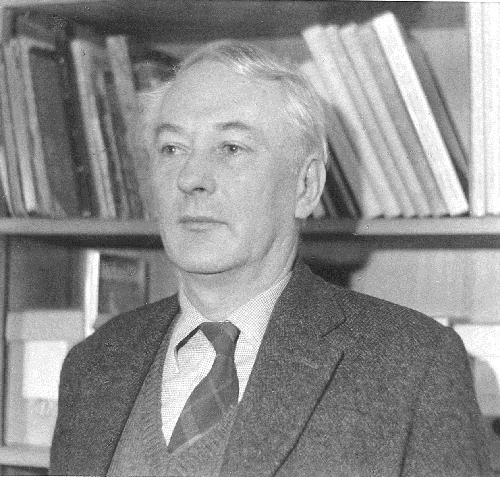 We are very sad to record the death in Edinburgh, on 29 May at the age of 91, of Professor Hamish Miles, OBE, the third Director of the Barber Institute. Professor of Fine Arts and Director from 1970 to 1990, Professor Miles was responsible for securing some of the Barber’s best-loved works, including Vigée Le Brun’s portrait of Countess Golovine. Benefiting from an amendment to the original Trust Deed (which had proscribed works made later than 1899 entering the collection), Professor Miles was the first director to acquire paintings made during the 20th century, and he set the bar as high for these later works as for the outstanding Old Masters and 19th-century paintings that he added to the collection. From Gwen John’s Mère Poussepin, acquired in 1976, to René Magritte’s The Flavour of Tears in 1983, and from Odilon Redon’s Crucifixion in 1981 to Léger’s Composition with Fruit in 1985, Professor Miles showed both a discerning eye and an unerring sense of what was ‘right’ for the Barber. This was not limited to two-dimensional works and one of his first acquisitions was Roubiliac’s terracotta Bust of Alexander Pope, bought partly with a V&A Grant-in-Aid – the first example of the Barber’s successful application for government funding. Under his directorship the Institute also became home to two outstanding collections of Byzantine and ancient coins, formed by Geoffrey Haines and Philip Whitting, which established the numismatic holdings at a world-class level. During the later 1980s he initiated and oversaw the expansion of gallery accommodation, the installation of modern air conditioning and the construction of the new roof at the Institute. Professor Miles came to Birmingham from the University of Leicester, where he had set up the Department of the History of Art, and he expanded teaching of the subject at undergraduate and postgraduate level at the University of Birmingham, as well as the public lecture programme of the Barber Institute. His distinguished record of public service included membership of the Museums and Galleries Commission and Trusteeship of the National Galleries of Scotland. He was also world expert on the 19th-century Scottish artist, Sir David Wilkie.